This is one of our go-to, super easy, crazy quick, side dishes for summer. Since lemon tastes like freaking sunshine, I tend to put it on everything in the summer. While this is great in the oven, it’s also a great staple for BBQ’s as it’s just as tasty on the grill! YAY SUMMER! Preheat the oven to 350 degrees. 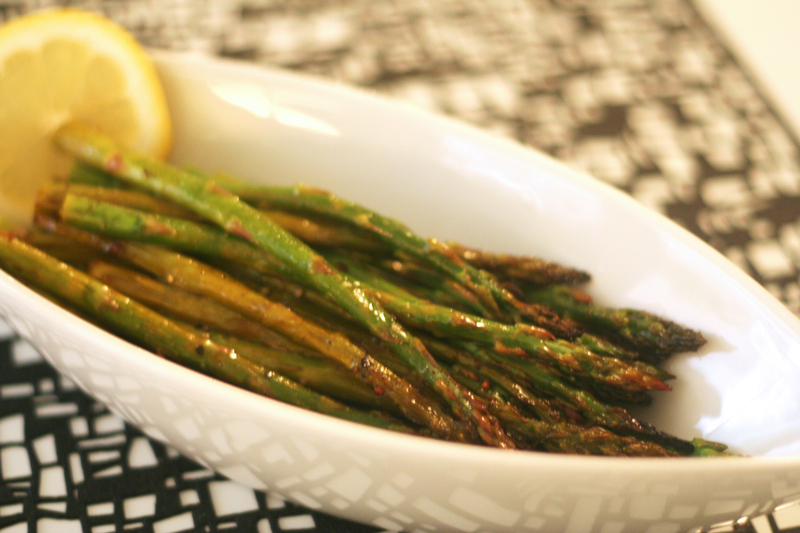 Cut off the tough ends of the asparagus after cleaning. 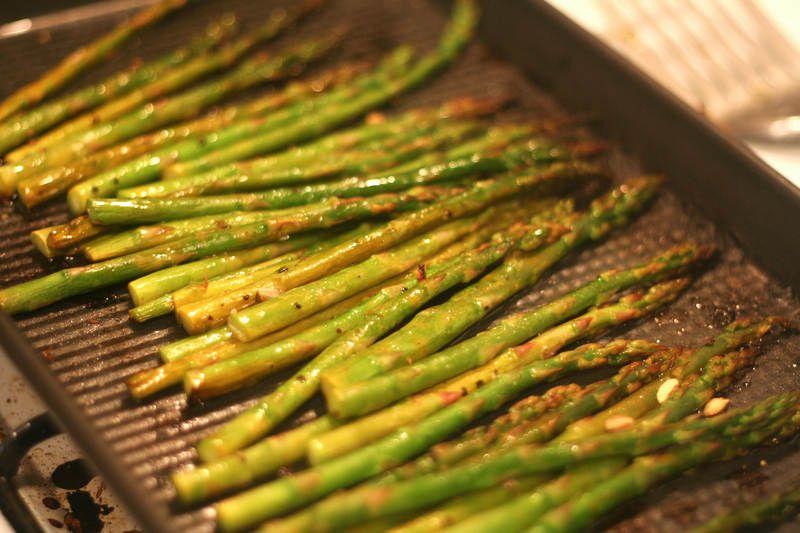 Toss the asparagus in olive oil, salt and pepper until well-coated. 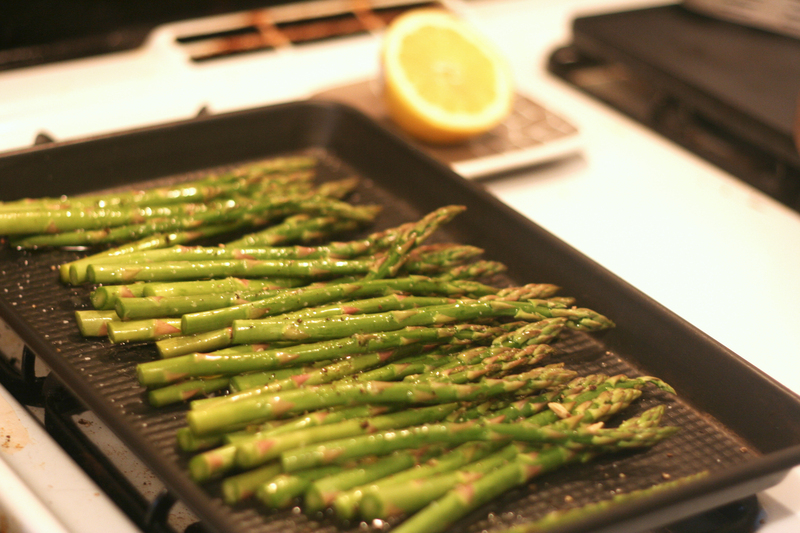 Place on a baking sheet and squeeze the juice of half of a lemon over the veggies. Cook for 15 minutes or so until the asparagus is slightly fork tender, it should still have a slight bite. Top with juice from the other half of the lemon and you’re set!